The Complete Pet Company began trading on the 3rd of March in 2003. Three women had a vision, to create and manufacture the best raw, organic, natural, free-range dog food on the market. This dog food was not to be just any old dog food, it was created with an ethical stand against Factory Farming, using high grade, good quality ingredients to create a dog food that was not only delicious and nutritious but based on what nature intended. Jenny is now the sole owner and operates the company with her partner Graham. Together they continue to produce the best raw / human grade "ethical" dog food with good old fashioned customer service. This includes home delivery from their Retail outlet at Enoggera. 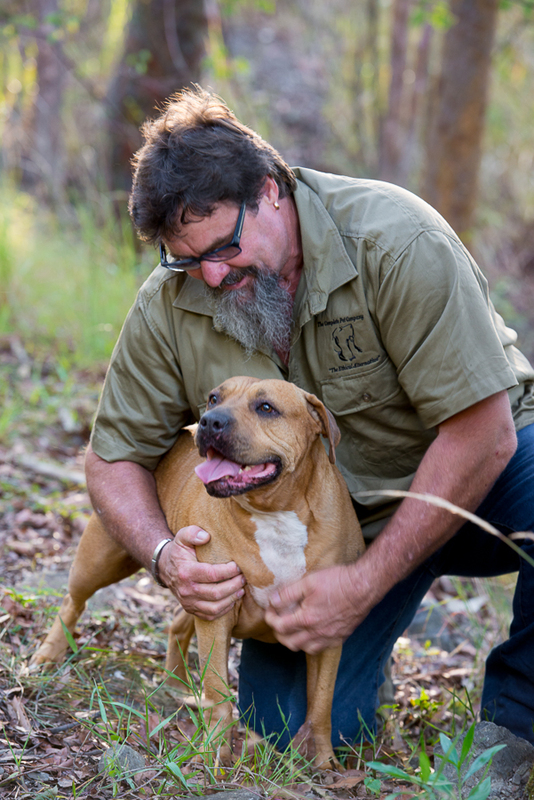 Jenny grew up on a large property in NSW and spent many years travelling overseas before moving to Queensland where she now resides with her animals and partner Graham. She spent years training dogs and unhappy with what she observed, she began to research Jan Fennell - The International Dog Listeners. 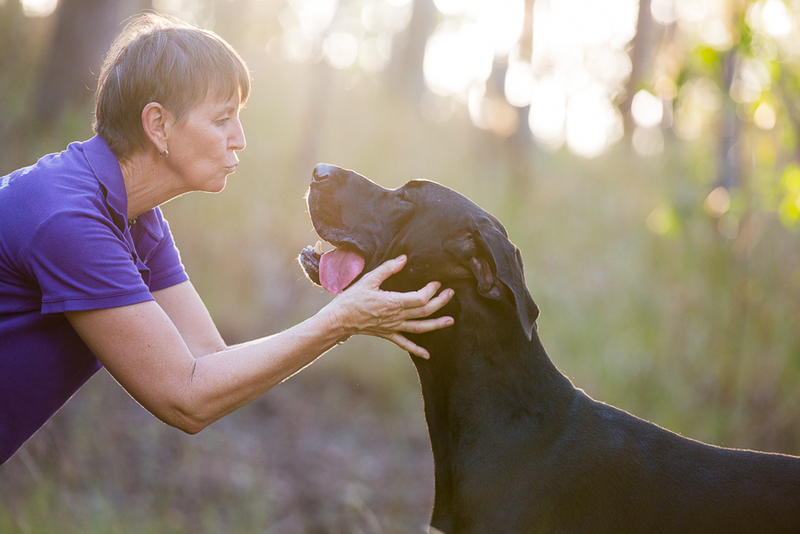 After experiencing first hand the amazing change in her own group of dogs she had to know what Jan knew and was fortunate enough to achieve her advanced certificate in Canine Communication. Jenny has been working with and for animals for over 25 years. When she is not working at The Complete Pet Company, or doing workshops helping owners to live harmoniously with dogs, she is spending time with Graham and her animals. Jenny 'walks the walk and talks the talk' in all aspects of her life. At home on her own pets and animals she uses the same natural products - homeopathy, Bush Flower Essences, DoTERRA Essential Oils and herbs- that she sells and promotes in the shop. Jenny is very passionate about all animals and is dedicated to educate people about the animal cruelty that surrounds us all. 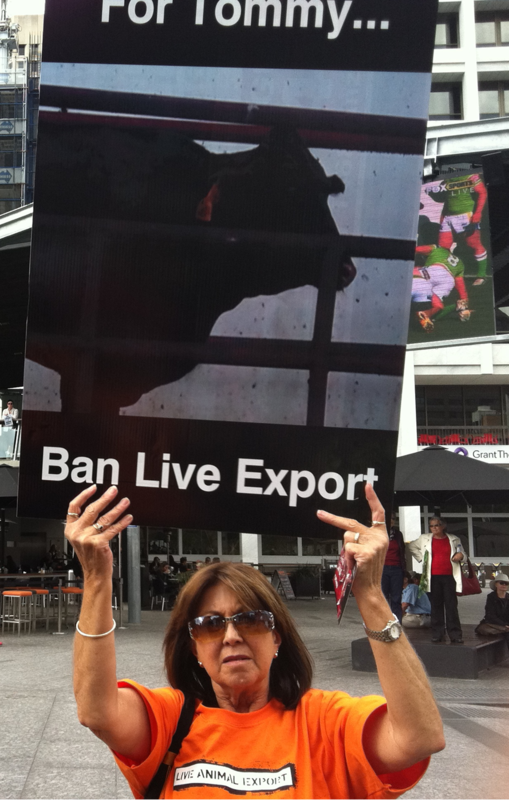 Not only the abuse to our domestic animals but the disgusting practices taking place with our livestock, the unspeakable practice of Live Export, Puppy Farming and Back Yard breeding for monetary gain and the unnecessary cruelty of animal testing to create perfumes, makeup, cleaning products and more. Next time you purchase a product, check to see that it’s ingredients are ‘Not Tested on Animals’ - It's really not that difficult! Jenny believes if we all do our bit, we can change the way our animals live and are treated. Jenny uses and promotes doTerra Essential Oils. DoTERRA Certified Pure Therapeutic Grade essential oil have a wide range of uses. Jenny is very passionate about these oils and uses them on herself, Graham, her dogs, chickens and birds and customers animals. She has witnessed incredible results. DoTERRA Essential Oils are available instore or you can order them on line through Jenny's DoTERRA web site Or better still give her a call and speak with her about how you can purchase your oils at a discounted price. Keep an eye out for any doTERRA workshops and events that will be coming up during the year. Graham is responsible for dispatch. He ensures all products are accounted for and deliveries to our stockists and customers are correct and on time. When he is not delivering our beautiful dog and cat food, he can be found serving or assisting customers with heavy bags and boxes or just having a chat. Graham is very supportive of the work Jenny does and the organisations she supports. Tricia works tirelessly behind the scenes making sure all our books are up to date and can sometimes be found having a friendly chat. Tricia has been with The Complete Pet Company since 2003, she is is our amazing bookkeeper, friend and asset, without her we would have very messy books. 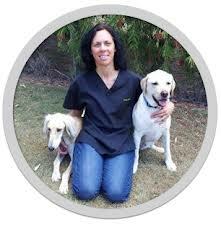 Lyndall was born in Sydney and grew up with a strong passion for all animals, but especially dogs! In her early twenties, she faced her own chronic health issues and in frustration with conventional medicine, turned to natural therapies for help. This ignited a passion for all things natural, and led her to study Naturopathy at a tertiary level, graduating in 1994. Over the last 20 years, Lyndall has treated ‘humans’, both in running her own clinic in Sydney and in assisting at other clinics on the Sunshine Coast, where she moved 11 years ago. She has also had a great deal of experience in the health food and pharmacy industries. Her move to Queensland saw her make the decision to study Animal Naturopathy as this seemed the most natural progression for her at this point in her life. She undertook these studies by distance education at the National College of Traditional Medicine in Victoria. Completing her studies, she moved from the Sunshine Coast to the south of Brisbane. 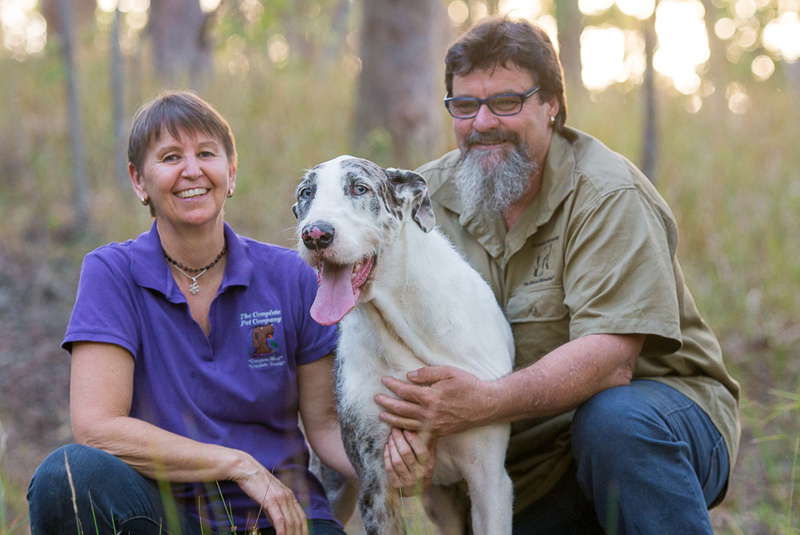 Five years ago Lyndall set up a mobile animal naturopathy clinic with the aim to increase awareness and educate dog owners about the many health benefits of naturopathic treatments and raw feeding methods. As the service’s popularity has grown, so has her schedule – she now treats many dogs from far and wide, both face to face as well as with an online consultation service for those out of her service area. Lyndall lives with her husband Paul and son Ryan on an acreage property at Cedar Grove, along with Bernie the Lab, Rabi the Saluki, and Pandora the elusive cat! 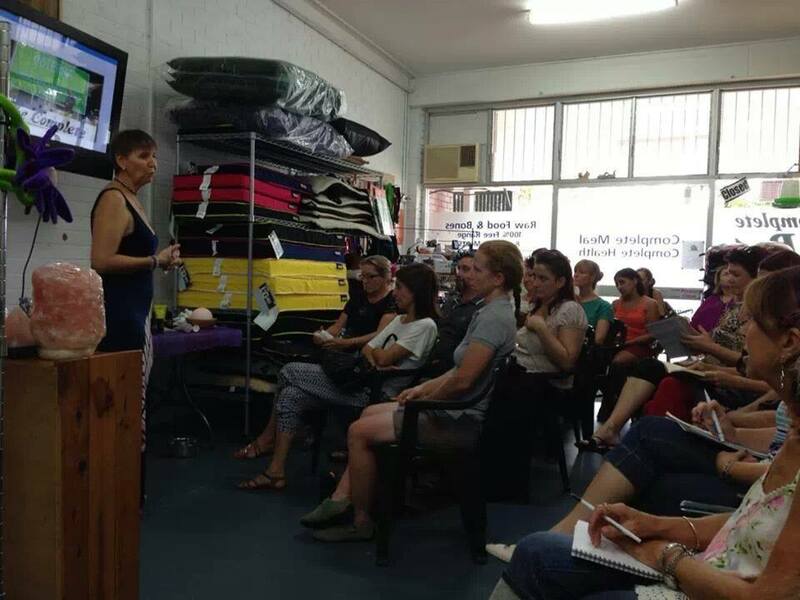 Lyndall consults by appointment at The Complete Pet Company on Mondays, Thursdays and Saturdays. You can also phone Lyndall on 0417 710 882 to book a phone or online consultation or you can visit her website Canine Vitality - Naturopathic Service for Dogs.